Owning property in Westchester comes with a pretty steep price. The purchase price is just the beginning of sticker shock for most homeowners in the County but the escalating cost of property taxes adds to that ongoing burden. Grieving your taxes is the only way to possibly get some relief and initiating the process the correct way from the start increases your chances of winning a reduction. That being said, the tax grievance landscape has changed dramatically in the last few years with Mamaroneck and Scarsdale undertaking revaluations and Yonkers, Greenburgh and Ossining undergoing the process as of this writing. The municipalities had a two-fold goal: level the property tax playing field, which had not been adjusted in decades, and reduce the number of tax grievance applications which had swamped the assessors’ offices for the past few years. The revaluations have resulted in a seismic shift with lower tax bills for some and shockingly higher assessments for others. As a Westchester attorney who has practiced in tax grievances for more than a decade, my experience has shown me that many lower-to-mid-range homes ($400-650K) are now assessed just where they should be in the current housing market, while many mega mansions are over-assessed, depending on location. The reality is that other than the rare exception, your property’s assessed value is now closer to the realized market value, especially if your town has just undergone a revaluation. Each year, your municipality is required to send you a Notice of Assessment when it publishes its tentative tax roll. That gives property owners a chance to determine if they want to challenge the assessment by filing a tax grievance. Deadlines for filing are all over the map, literally, and I refer you here to the New York State website to see when your municipal deadline occurs. More to come as we get closer to the Village (February) and Town (June) deadlines next spring. Spring has sprung and so has tax grievance season in Westchester. That’s when homeowners come out of the woodwork with dreams of reducing their property taxes. While the filing deadline has passed for the villages, the deadline for the towns and most cities in Westchester is just a few short months away on June 16, 2015. Yet, the landscape is different this year and commonplace reductions will not be as easily won as in past years. The reason is that many municipalities undertook market re-assessment projects in recent years: Mamaroneck in 2013; Scarsdale in 2014; and Ossining this year for the first time in 43 years. The revaluations have resulted in a seismic shift with lower tax bills for some and shockingly higher assessments for others. The reality is that other than the rare exception, your property’s assessed value is now closer to the realized market value if your town has just undergone the reassessment process. The process is easy and costs minimal compared to the savings which are often realized. To file at the local level costs nothing. Tax grievance attorneys generally charge a contingency fee, meaning that you pay nothing if your taxes are not reduced. 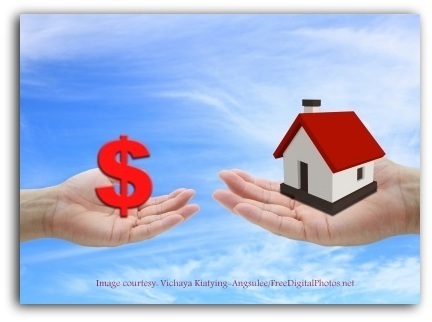 The only initial expense is the appraisal which must be done, generally less than $600 depending on your location. Many homeowners try to employ self-help in filing the grievance application, but it’s worth retaining an attorney from the start. If your application is denied then the tax grievance attorney will file a court appeal on your behalf if he or she is already on board. It is also important to keep in mind that most municipalities in Westchester base your taxes on the prior year’s assessment, so if your town’s grievance deadline is June 16th for the 2015 tax roll, any reduction will not be realized until your 2016 taxes. Therefore, don’t delay because prospective savings are still a year away. Your taxes will not increase simply because you file a grievance application and lower property taxes can be a great asset if trying to sell your house in Westchester or anywhere else in the New York market. This is attorney advertising. Please understand that the information contained within this site is provided for general information purposes only and is not intended as legal advice and it may not reflect the most current legal trends or developments. Links from this site to third party sites should not be construed as endorsements of the linked entities. Email to this firm or to Lisa Fantino will not establish an attorney-client relationship and you should consult an attorney for individual advice regarding your own situation. Email messages containing time-sensitive or confidential information should not be sent. Sorry I’ve been an absentee blogger of late. I’ve been busy selling and promoting my 1st book, “Amalfi Blue, lost & found in the south of Italy,” and I can happily report that this morning it hit Top 20 on Kindle Books on Italy and Top 100 on real books on Italy on Amazon. Now, I have five minutes to get back to some morning headlines. So, we have mantears, fake girlfriends and expensive parties in the headlines. Hmm, what shall we tackle first when they are all bloody ridiculous. 1. Mantears – Has anyone tested those tears from Lance Armstrong for doping? The big dope. Enough said. Why do we still have him in the spotlight? 2. Fake Girlfriends – Wake up people. I know we live in a digital age but didn’t this world think there was something wrong with a star football player who need a digitial “girlfriend.” Footballers get cheerleaders NOT cyber chicks! And who calls someone they’ve never met the love of their life? Really, we are in trouble. 3. Inaugural Shindig – Let me preface this by saying it is NOT an anti-Obama statement. However, with the mess this economy is STILL in, anyone entering their 2nd term who hasn’t cleaned it up yet should save tax dollars and lobbyist bucks on the big parties. Whatever happened to celebrating with your family and the Cabinet (the new one) in the residence? My two cents – now continue with your programming day.